The order in which the words appear in this quote were very carefully considered to make a certain point. I was on a business coaching call and give the simplest, cut to the chaise answer, that I could about how to build a successful business. It was intended to give a particular feeling. Let’s consider some alternates and what they imply. Then I’ll explain why I carefully said it as I did so you too can build a successful business and life. The concept here certainly does not only apply to business. It could just have easily been said, “The more you stand up for people, the more they stand up for you.” There’s a lot I like about this way of saying it too. It shows deep commitment to people. And trusting in turn that they will stand up for you. Sort of karma in action. Why I don’t think it represents the way to build a business is because it implies a one-to-one relationship. It takes more than that build a business. Alternatively, it could have been said, “The more people you stand up for, more people will stand up for you.” This can be a good thing in business. Volume. You are standing up for a lot of people and therefore MORE people are standing up for you. Not a bad alternative. It feels fragile to me though. It doesn’t feel like it has a good foundation. It’s a bit based on “celebrity” and having mass appeal. So why did I say it as I did? “The more people you stand up for, the more people will stand up for you.” To me, it demonstrates a willingness to be a leader. To stand up for lots of people. To take on the challenge of full commitment to others even on a large scale. It results in individuals standing up for you with increased commitment to your mission. Not focusing on the masses, but each individual becoming an evangelist for your cause or your business. We’ve seen this time and again with successful leaders. How one strong believer, one committed follower, can rally the masses. People respond with deep commitment to those they see helping other people. The greater they see your influence, the more they want to help. These are sometimes know as your first followers. I have many in my life who I treasure tremendously. It has shown me how the support of a few, because they stand behind what you’re doing, can have life changing results. This is how you build a successful business or expand a cause. Instead of APPEALING to the masses, SERVE the masses to get the support of those who get behind you 100% and are eager to spread the word. This is why I’ve created my 5 WebLive Workshop series. Often you just have to get into action. Not always easy for the self employed! We get distracted, procrastinate, even lazy sometimes. The 5 WebLive Workshops I’ve created are the 5 BEST ACTION STEPS I have taken over the past 30 years to have an incredibly successful photography business. To not want to steal these from me is crazy! I am literally giving away the “kitchen sink”. Why? Because I care about supporting other photographers. I don’t live in fear of competition. I believe all our businesses can be as unique as we are as individuals so competition doesn’t exist. And I know for many people it is easier to get into action now than to do the deeper work first. To get out from the financial stress so that then, and only then, can the creative entrepreneur be fully creative, work from a sense of purpose and serve for the greater good. Check out the entire 5 WebLive Workshop series here. As a business coach, most of my work with creative entrepreneurs begins with helping them get very clear on where they want their business and life to go. Their vision. Vision is different than a goal. A goal is more like a road map with a definite course whereas a vision is more like a compass with an intended direction. A vision is more long term. A goal is short term. So where I begin with my clients is getting them to paint a picture of what they want their life to look like in a year which will set the foundation of the much bigger vision of years ahead. Designing your own life. Because if you don’t, other people and circumstances will. Our coaching work also focuses on getting old limiting beliefs out of the way to step into empowering beliefs about the much “bigger” you that resides in all of us. I call it the hidden potential. It can lie dormant much like undeveloped film or a digital raw file. That once processed can be seen in all it’s beauty. While these two areas of purpose and empowering beliefs are the anchors of my coaching work, taking POSITIVE ACTION is crucial. The fact of the matter is that you can be very clear on your vision and miraculously free from any limiting beliefs and never get where you want to go if you don’t work for it. I invite you to allow me to help you help yourself. These 5 key topics will transform your photography business. They start Wednesday February 12th 2014 so there’s no time to waste. 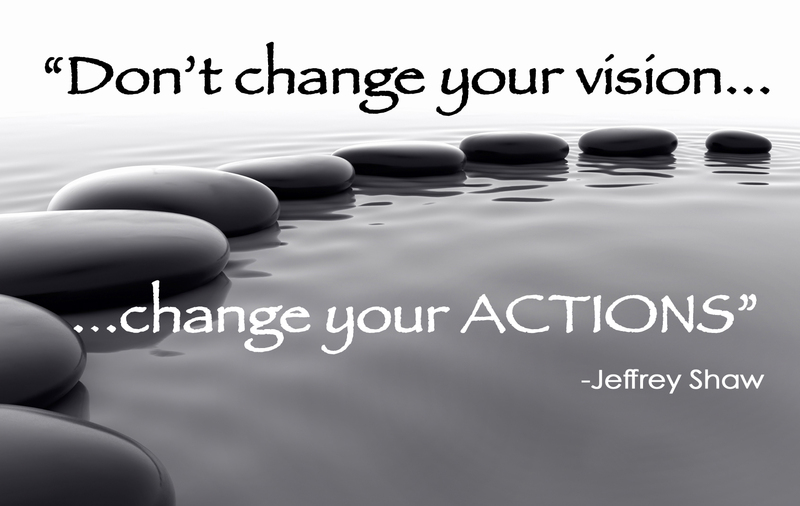 Signing up is your first step in taking action towards what you want. I didn’t get to where I am because of only what I dreamed. I worked really hard. I’d like to fast track the process for you and offer you my best practices. Have you ever thought about how the art of a single individual has touched the world? Even changed the world? One person can have that big of an impact. It’s easy to look around at our immediate surroundings and the people close to us and see that yes, we effect the lives of many people. Do we always see the impact we make on a bigger scale? The reciprocal benefit of words that we say to someone? When we say something to someone just when they need to hear it can change someone’s day? Or when we go the extra step and help someone and they in turn help someone else. One of my favorite things to witness is karma in action on a NYC subway. When a musician plays for money or a needy mom with a babe in arms begs, as soon as one person gives you’ll see many people digging in their pockets. It takes just one person to get the ball rolling. Or a pregnant woman steps on the train and as soon as one person offers a seat everyone re-evaluates who they might offer their seat to. Perhaps an elderly person who was standing. The actions of the one individual trickles down and effects many. We go about our lives with these little moments sometimes not having any idea how we’re impacting someone else’s day or life. I believe that small business owners have a particular role to play in this. It is through the business and the increased exposure being in business offers that the small business owner can truly make a difference in their community and the world. Isn’t it true that we typically define whether service we receive is good or bad usually by the small businesses around us? To some extent we’ve given up on service with the big companies. We accept the norm and are thrilled when we receive better than usual service. But walking into your local business or having a professional service provider come to your home can change your day. Hopefully in the best possible way. I know it’s a tall order but one of my objectives as a business coach to small business owners is to change the world one entrepreneur at a time. I support them to serve their clients in a particular way, which enhances the client’s experience, which results in spreading the word, which increases business, which offers the business opportunity to do more, and so on…. One small business in one community. One community in a bigger world. Yes, we are never too small to make a big impact. It is a common trait amongst successful people that what they do, their chosen career or work, serves as the way to their greater purpose. This is what I love about business coaching. People most often come to me for coaching thinking what they most want is to increase their business. The indicator to me that this person has what it takes to be highly successful is when it is clear that they feel they are on a greater mission. That they want to serve the world in some bigger way. Or that they have something to prove to themselves. Their business or career then is a platform for a greater good. This understanding brings out a clarity that being business-minded isn’t a sell-out, or a conflict or even insurmountable. A successful business then becomes the vehicle to do more good. Look at Oprah. Who can deny that her financial success and highly visible platform enabled her to do even more good in the world. Or Bill Gates. You don’t have to be a celebrity. These are just extreme examples. It’s having a priority for being business-minded so that you can serve in a way that’s most meaningful to you that creates a prosperous business, a meaningful life and a better world through what you do with your success. Only then is mission accomplished. Often a change of perspective can help. I have a free eGuide- “Change Your Perspective, Change Your Business”, that my serve you well. Grab it here. How willing are you to receive prosperity? Or an abundant life? Most of us think we are far more willing than we actually are. We seem to struggle to see what is RIGHT about ourselves and focus on what is wrong. In my opinion, the greatest work ever written is the poem “Our Deepest Fear” by Marianne Williamson. As she so beautifully points out, “who am I to be brilliant, gorgeous, talented and fabulous”? Do we not almost always question our worth? How one sees their worth is directly related to their willingness to receive. I don’t mean this in a boastful or certainly not in an entitled way like,”I deserve….blah, blah, blah”. But truly in a self respectful acknowledgement of one’s self that you’ve taken the right steps, lived an honorable life, done so with the best intentions and accept that you are in fact creative, resourceful, whole, brilliant, talented, gorgeous and fabulous. Then you can receive prosperity. Like not brushing off a compliment and simply accept it as being safe to say “thank you” without fear of seeming conceited, full of oneself and any of the old messages that seem to be a societal norm. Humbleness and humility are noble ways of being. But false humbleness perpetuates the message to “not accept”. A willingness to accept compliments, praise, even constructive criticism and changes in your world are all representative of your ability to accept prosperity. To do so, grants others permission to do the same. And there in lies the true gift of prosperity. You receive, give others permission to do the same, and open to receive more. It’s sort of like the spiritual version of “success breeds success”. Or “what goes around comes around”. Maybe it comes with maturity. Not necessary in years but in personal growth. The ability to grasp that there’s a letting go of the “I”, the “me” in receiving. While it would seem like receiving is about ourselves, it is doing so from the place of it not being about you that is a gift to others and therefore not about ourselves at all. Here’s a fun game and a useful tool for yourself. Create a SelfieMantra. As you know, selfies have become wildly popular. But instead of showing the world what you look like, tell us WHO you are and what you BELIEVE. Photoshop your message over a photo of yourself, hold up a sign, or take a selfie that tells up something about yourself. Post it on facebook and use the hashtag #selfiemantra. I’ll be collecting them and posting them on my Pinterest board. My own is there right now- check it out. Your #selfiemantra can serve you as a daily reminder of your worth and your willingness to receive all that is WONDERFUL about yourself. Namaste. (If you don’t know, Namsate means I honor the light in you). A good friend of mine is going to climb Kilimanjaro in a few weeks. What an outstanding accomplishment that will be. This is a guy who always takes on huge physical challenges–marathons, skydiving, sports car racing. I’ve always admired him for these things. I have to admit when he told me about his climb to the summit of Kilimanjaro I was really humbled. It’s so out of my realm of thinking to even consider doing something like that. I began to judge my own accomplishments in life as small in comparison. Then it occurred to me. Don’t we all have our own Kilimanjaros? Our very own big hill to climb? I have people close to me that have beat addictions. Many friends who have left very long term relationships to take life on on their own. Neighbors who have lost loved ones way too soon and raised children as single parents. And many men and woman, who like me, took a very long journey to being true to themselves and came out later in life. We all have our Kilimanjaros. It’s important to remember to be a cheering squad for one another. Support each other. Encourage the journey. Remind each other to simply put one foot in front of the other along the way. Keep your eye on the summit. You may have to meander around a few boulders but just keep going. The important thing is that you’re taking action towards what you want. You’re challenging your beliefs about what you’re capable of. If I chose to climb Kilimanjaro I would first have to start with overcoming my limiting belief that I can’t do something like that. Once I put that old belief aside and took on a more empowering belief of “yes I can”, then the next thing to do would be to get into action. This is how you create the results you want. We are probably the quickest to judge the magnitude of our own biggest challenges. It’s very humane to remain humble and see other’s accomplishments as greater than our own. But not at the sacrifice of honoring our own, very big hills to climb. We all have our own Kilimnajaros. I really do respect my friend for climbing Kilimanjaro. It’s impressive. I’ll be cheering him on in spirit March 6-18. And I honor you and your journey. Comment below and tell me about your own personal Kilimanjaro. What have been your biggest challenges that you’ve summited? Or that you’d like to? Physical challenges, emotional challenges, personal growth challenges….they’re all valuable. I hope you’ll take the time to honor the person you are who takes on the challenges in your life, big and small, chosen or imposed. If you enjoy receiving inspiring messages, check out my Pinterest page. There’s an entire board devoted to Inspiring Quotes.